To start off we moved into the ‘Game Room’, aka Ryan’s spawn point where I brought the new players up to speed with the goings on of the world. I also updated the players familiar with the world about what I had done and changed since they had last played. After that I facilitated a backlog dump of potential next steps and then took proposals for what people wanted to do. I was keen to continue the building of the walls and bring them to completion. I knew that this would require a substantial amount of cobblestone to achieve, so I proposed that we collect cobblestone and deposit it in a chest in the main hall of cow castle. I also suggested that building houses leading towards the village would be a good use of time, people could make their own houses and then villagers would soon be living within the city walls. There seemed to be a lot of interest in building houses from Eli and James, and everyone was happy and excited about the idea of collecting for the cause. Soon enough the ‘crafting was underway! 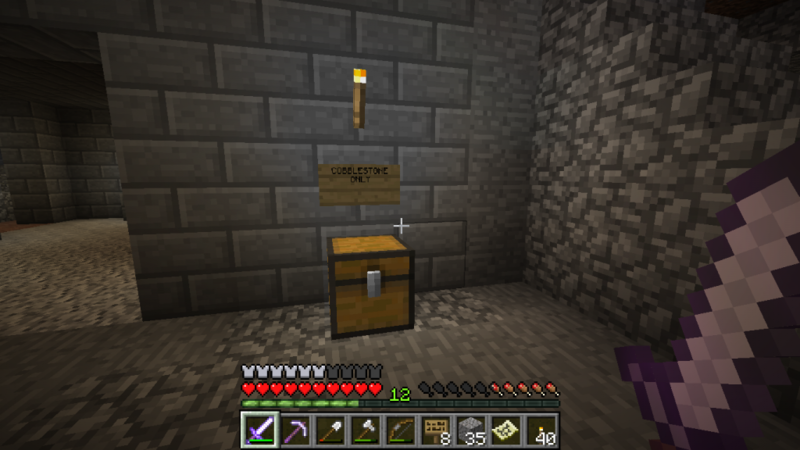 I made a single chest, labelled it and then headed off to label a few other things around the place. Dr Glass aka @drew went off and brought back all of our loot from an earlier mission and stored it in the chests in Cow Castle. I labelled the goodies chest ‘UBUNTU’ meaning that anyone could have their contents. 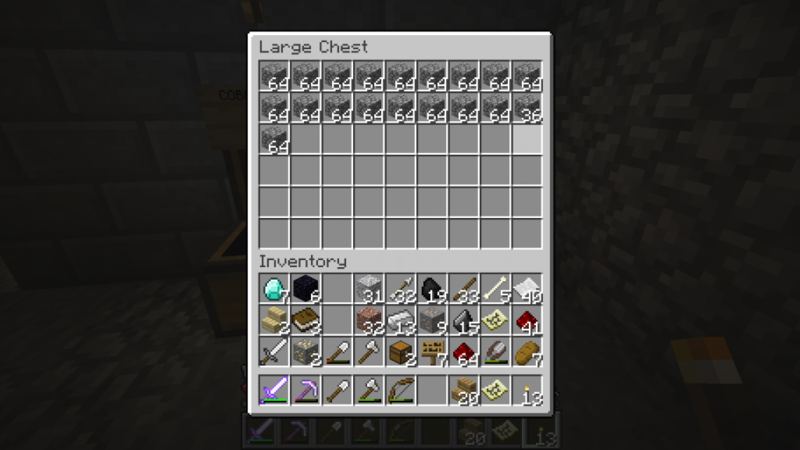 James checked in and asked if he could take the blocks of iron to make iron golems. He was pretty keen. 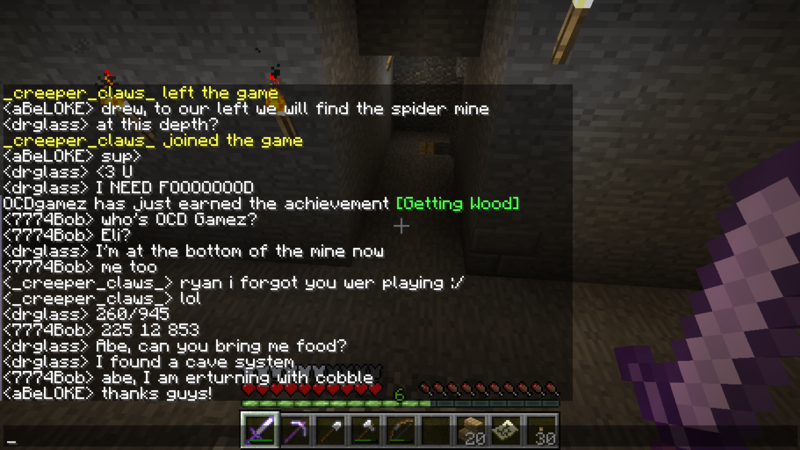 As you can see in this text chat, everyone was busy scouting out new territory and collecting cobblestone. Much gratitude guys. By the end of the session, Eli had half finished building a house (no roof! 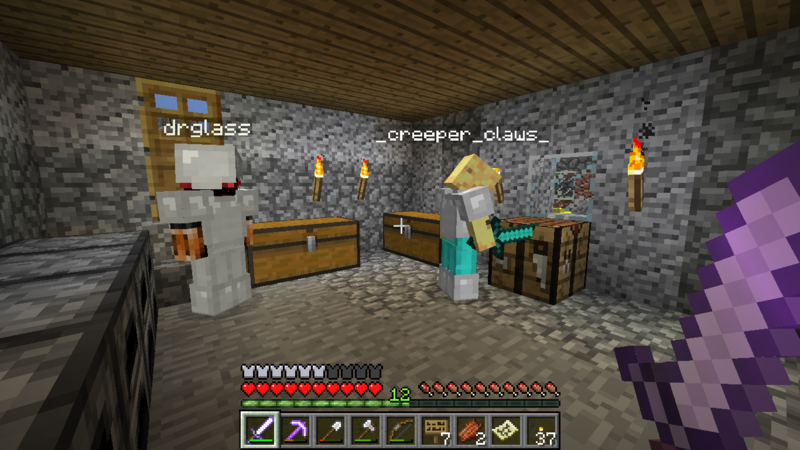 ), James had built a house, two golems and a pumpkin farm, Drew and Ryan had been avid collectors of cobblestone (as well as James and myself) and we had a third of a double chest filled ready for the next adventures. 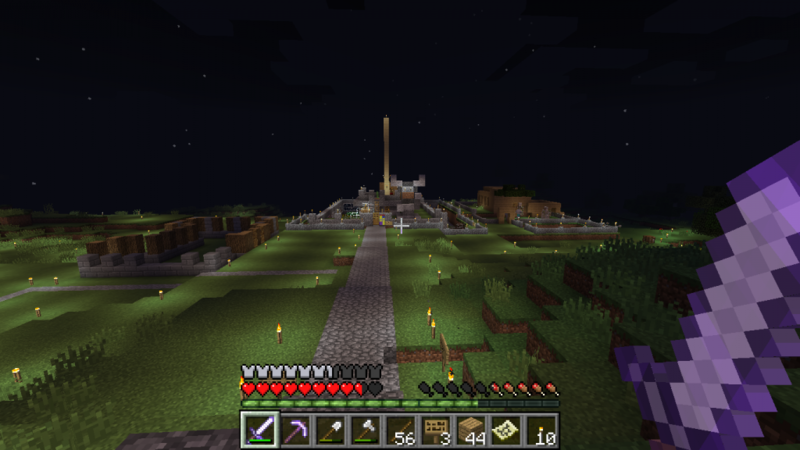 This last screenshot shows Eli’s house on the left and James’ house on the right of the central castle. Sorry it was at night, that’s just how we finished the session. This was such a joyous session. I think that the format for having a meeting and touching base before we played together was both very effective at making the session smoother and a great way to model using the ALC tools and practices. This was reflected back to me during the gratitude circle at the end of the day too. I found that by getting clear on what we wanted to do before hand that we were much less prone to running long excursions and side missions that we couldn’t complete within the time frame. We all played for about an hour and a half with a ten minute meeting before the play started. This was a great implementation to our Mindful Minecrafting practice! 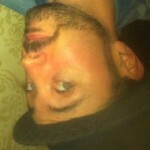 As the title of the post suggests: the greatest craft of all was how to upgrade our collaborative play.